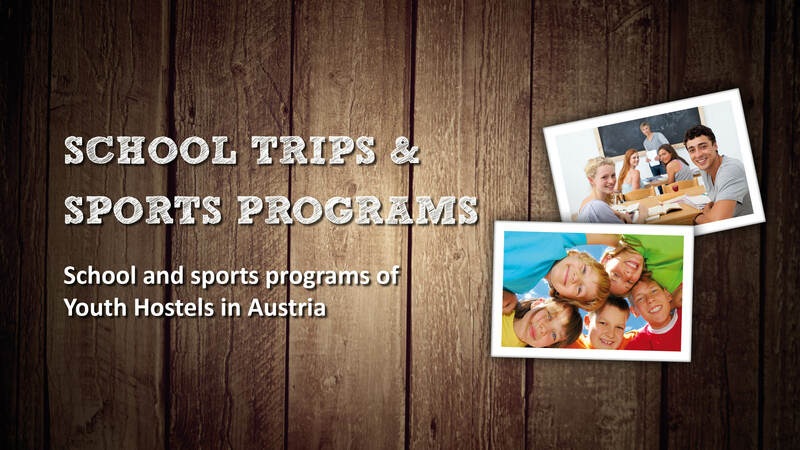 Current School Offers of Austrian Youth Hostels - Ski, nature and city trips are waiting for you and your students! More details can be found in our catalog. The Austrian Youth Hostel Associations OEJHV & OEJHW have been reliable partners for over 70 years when it comes to planning school trips. Since the beginning of the Youth Hostel service, the schools teachers have been an important partner for our Youth Hostel organizations and our hostels- that's why we are working together in this catalog for teachers who plan a trip with their students and want quality at a fair price. This quality does not have to stop at the subject of accommodation: in this catalog we offer special packages with a program and some benefits to facilitate the planning.